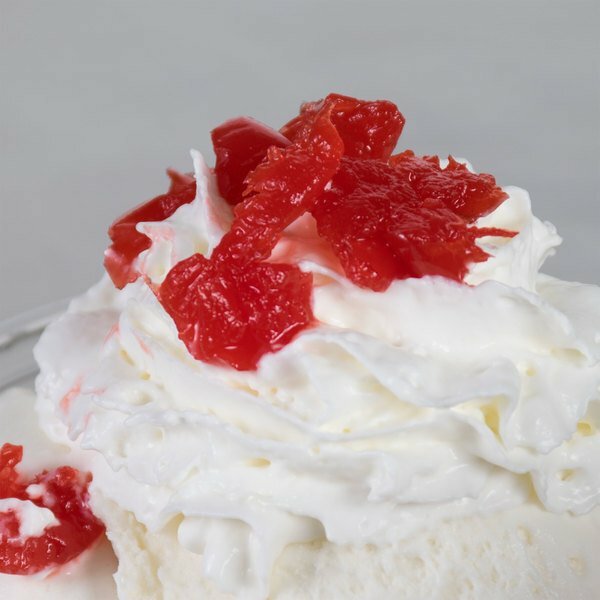 Put the cherry on top of your signature desserts with these crushed maraschino cherries! 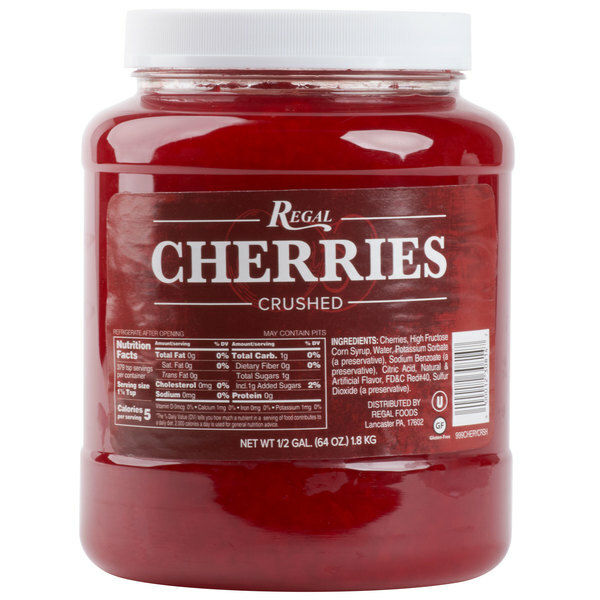 Packaged in a bulk half gallon tub with a resealable lid, these cherries will maintain optimum freshness. They're crushed in a brilliant bright red syrup that adds color and sweetness to any dish. These cherries work great for ice cream sundaes, frozen yogurt, and fruit salads because they are stemless and crushed, cutting down on preparation time. Whether you plan to serve a single ice cream scoop or an eye-catching banana split, these red cherries are sure to brighten up your menu items. You can even use them to create a decadent layer cake or cherry brownies. With their crisp, sweet flavor and soft texture, they're a must-have topping for your restaurant, ice cream shop, or bakery! These Maraschino cherries are taste amazing. I like the crushed ones for making milk shakes and making cherry flavored ice cream. They make the perfect topping too. These maraschino crushed cherries are great. We used to buy the whole ones and crush them ourselves to save a penny, but would highly recommend this for the additional cost. The crushed cherries are great and make a great filling for our fruit cakes. The cherries are a nice jelly like texture and help add moisture to the batter. I love the packaging as well. Maraschino cherries. These are crushed cherries which you can use for a variety of dishes and drinks. This is a 1/2 gallon jug full of crushed cherries! 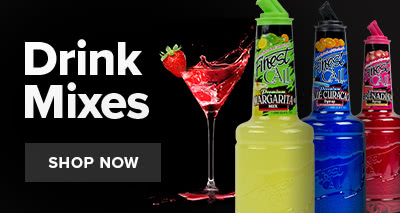 These are a little sweeter, and messier than just buying maraschino cherries. It is very thick, and jelly like. The taste is great though, it goes great with homemade icecream.